A truly masculine necklace that is sure to draw looks and stares no matter where it is worn is the TitaniumKay.com titanium 7mm box link necklace chain. 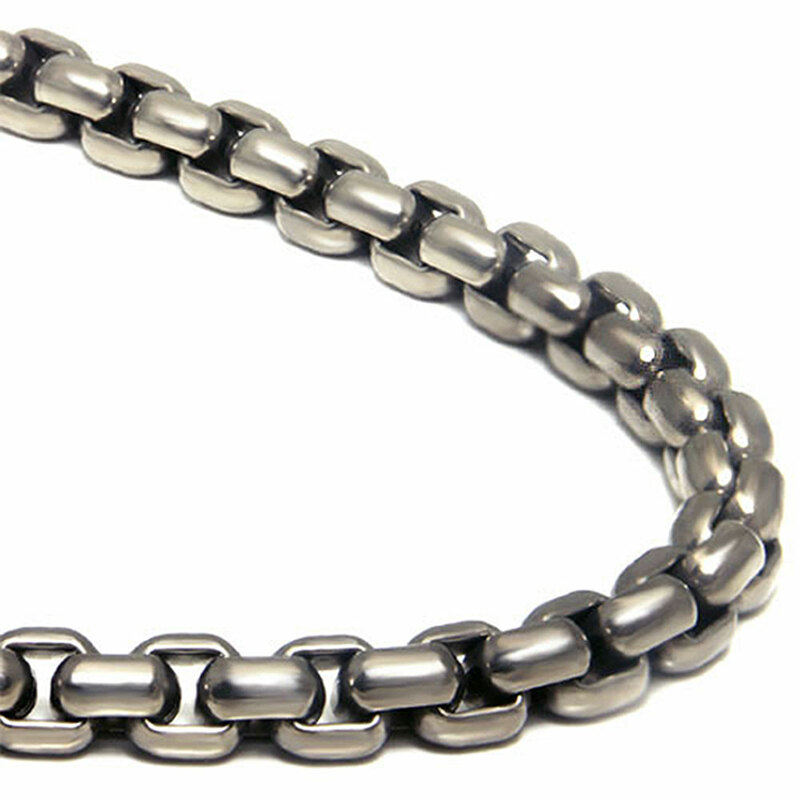 Designed from grey color high polish 7 millimeter wide titanium with a box link style the necklace chain looks as strong and rugged as it is. Titanium is one of the strongest metals known to man and in this design styling certainly looks like it would be nearly impossible to break. Nothing looks better than a nice solid necklace chain, whether for work or play these always accessorize any outfit well. This titanium necklace is 100% hypoallergenic so it will not change the skin color when worn . It is also economical when compared to necklaces made of the precious metals such as silver, gold, and platinum. Necklaces made of precious metals often will kink, twist out of shape, or break completely and making repairs can be costly or impossible depending on how the material is crafted. Never worry about breakage or damage with any of our jewelry and we offer a 100% lifetime warranty on everything we sell.